Brand New, Never Installed, Kirkey Full Containment Lay Back seat for Stock Car. 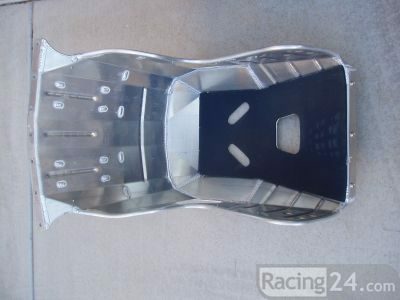 This seat was ordered for a driver for a road racing seat in a stock car, (ex-NASCAR Southwest Touring Series). It includes both the head restraints show and all the parts shown. It has the 53100 seat, the restraints, the middle, (shoulder), set, and all the pads and covers that came with it from Kirkey. Although this seat was ordered for a stock car it will fit in just about any closed wheel racecar. Even though this was a custom ordered seat it will fit just about any driver whose height and weight are close. This driver was a medium-built individual and just about any man or woman of a similar size will fit this seat well. This is a top of the line Kirkey seat and has never been installed or used. This seat was over $1750.00 USD retail from BSR when ordered. (Custom seats are expensive!) However, you won't have to pay nearly that much to have it. Buyer pays ALL shipping from Phoenix. We will make every effort to package it well and to accommodate the purchaser. No Indonesian buyers! USA, Europe, Canada. buyer must complete the transaction within 7 days or it will be considered non-responsive. Seat may be picked up in Phoenix. Contact Belinda at 805-499-3977 or email belinda@godswhls.com with questions or additional information. THE SHIPPING WILL VARY SOMEWHAT FROM THE LIMITED OPTIONS SHOWN BY EBAY!! !